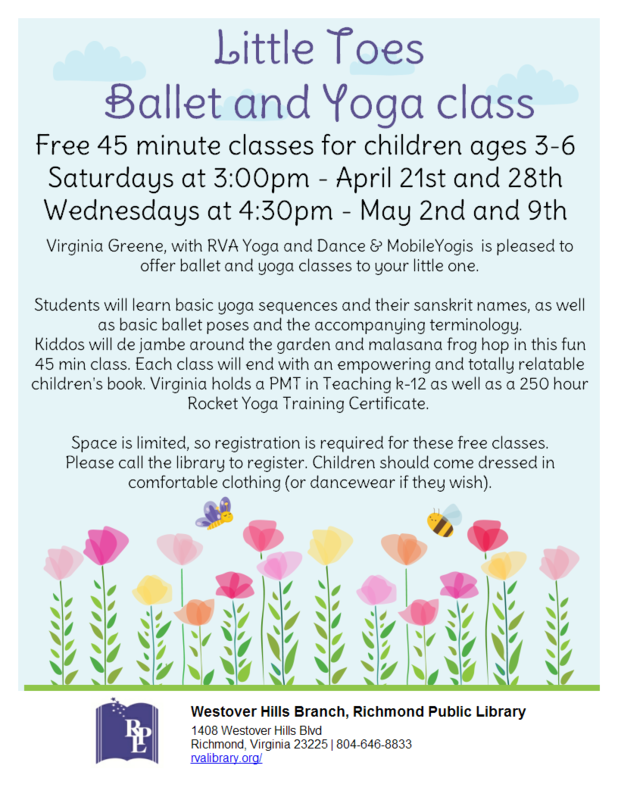 Virginia Greene, with RVA Yoga and Dance & MobileYogis is pleased to offer ballet and yoga classes to your little one. Students will learn basic yoga sequences and their sanskrit names, as well as basic ballet poses and the accompanying terminology. Kiddos will de jambe around the garden and malasana frog hop in this fun 45 min class. 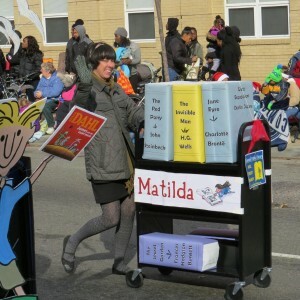 Each class will end with an empowering and totally relatable children's book. Virginia holds a PMT in Teaching k-12 as well as a 250 hour Rocket Yoga Training Certificate. Space is limited, so registration is required for these free classes. Please call the library to register. Children should come dressed in comfortable clothing (or dancewear if they wish).